Talk about having a lousy day. While Zinnia's seventh-grade classmates are celebrating the last day of school, she's cooped up in the vice principal's office, serving detention. Her offense? Yarn bombing a statue of the school mascot. And when Zinnia rushes home to commiserate with her older brother, Adam, who also happens to be her best friend, she's devastated to discover that he's left home with no explanation. 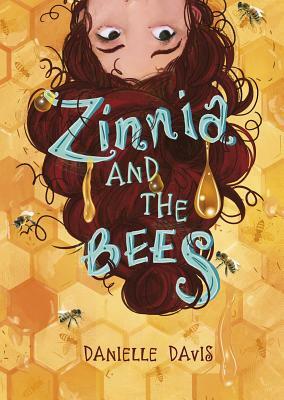 Just when it looks like Zinnia's day can't possibly get any worse, a colony of frantic honeybees mistakes her hair for a hive and lands on her head Told from the alternating perspectives of Zinnia -- a humorous young loner and knitter -- and an unintentionally comical hive of honeybees, this quirky, heartfelt novel will strike a chord with anyone who has ever felt alone, betrayed, or misunderstood as it explores the challenges that come with learning to trust yourself and the often messy process of discovering the true meaning to home.